If you have read through the posts on this site you will note that I'm a bit of a bushcraft knife collector. 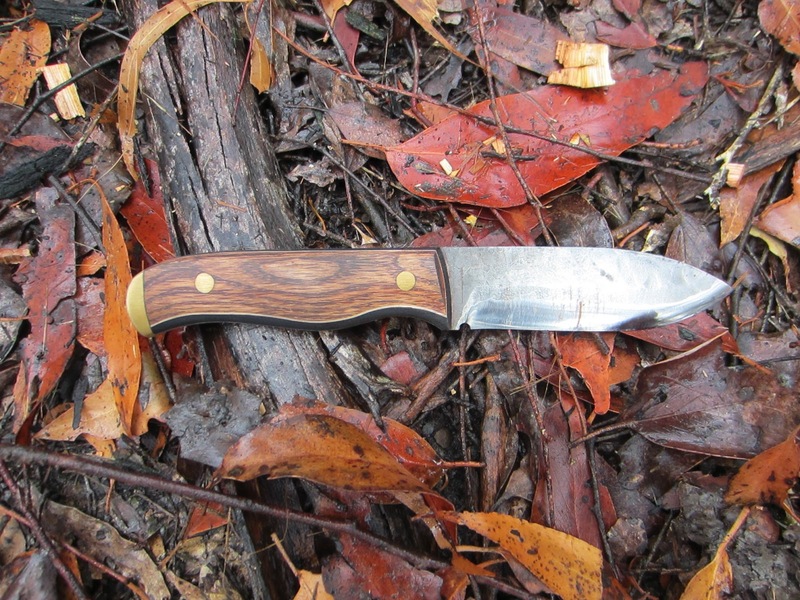 A knife is a practical tool for anyone that spends time in the bush. You can use it for fire prep, carving, food prep and general cutting tasks. Truth be told a $20 Mora will do all of the above (some tasks better than others) and for carving in particular they are hard to beat. However, if you want to spend more money there are some truly amazing bushcraft knives available. Over the years I became aware of the world of quality cutlery, from production blades from the likes of Spyderco and Fallkniven through to the world of custom blades. A custom is basically crafted by hand, some use stock removal methods on a blank of steel others use blacksmithing techniques, i.e. a forge a lump of hot steel and a big hammer. Unwittingly I have ended up a collector. 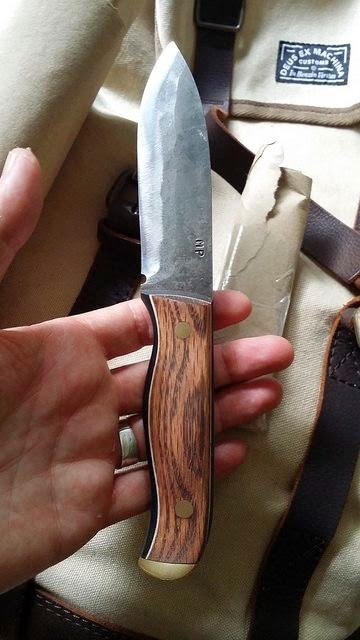 I love the artistry and craftmanship of customs and I like supporting those people who make a living from knife making. 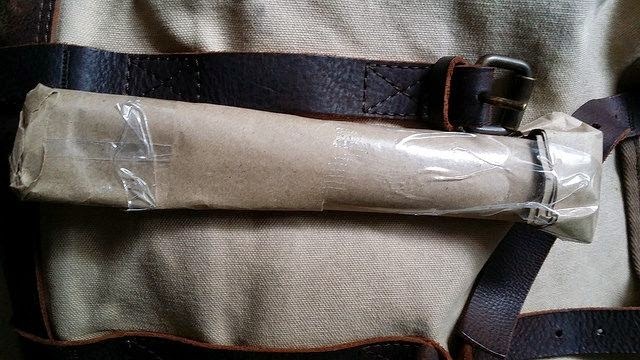 Whilst I like collecting bushcraft knives, I will only buy a blade that is a functional tool. On my voyage of discovery I have encountered many a fine knife maker. This week I took delivery of one of the most exquisite blades I have ever laid my eyes on. 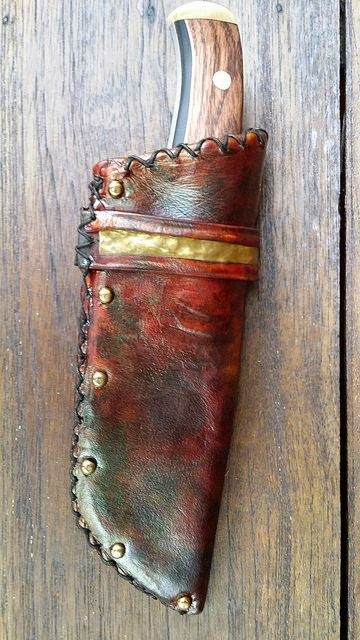 The maker is Matthew M Paul a bladesmith from New York State in the US. I asked Matt if he would make me a variant of his Drifter model only a little smaller (based on an older model of his called a woodsman). Matt used 300 year old Oak sink wood (timber that had sunk to the bottom of the river many centuries ago). He combined the oak with a carbon liner & a white liner. The quality of the build is of the highest standard that I have encountered thus far. It has a convex grind that was sharp enough to shave with and the balance of the knife in the hand is perfect. 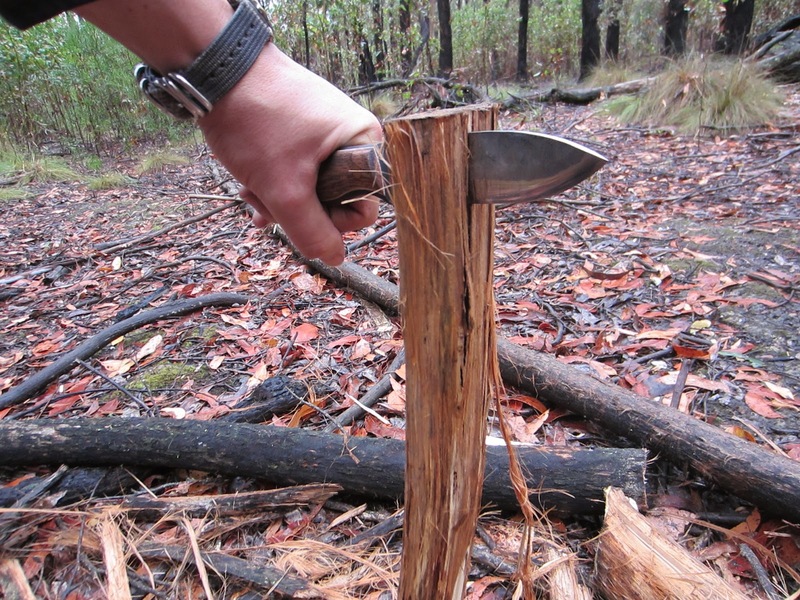 On the weekend I had the opportunity to use the knife for basic fire prep tasks and it preformed beyond expectation. It's a hefty guage steel around 5mm, but combined with the convex grind proved to be an all rounder from battoning through to slicing up food for lunch. Another thing, Matt is such a nice bloke to deal with. Integrity with a capital I sums up the man. 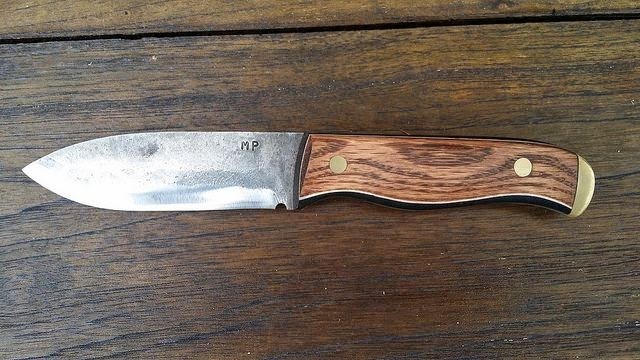 If you ever contemplate a custom I highly recommend MP Knives Matt also has a vendor forum on the BushcraftUSA site. I'll post updates as I get more opportunities to give the Drifter/woodsman a workout. Really enjoying this knife. The handle has a perfect contour for my hand and after processing a lot of wood there was no discomfort. 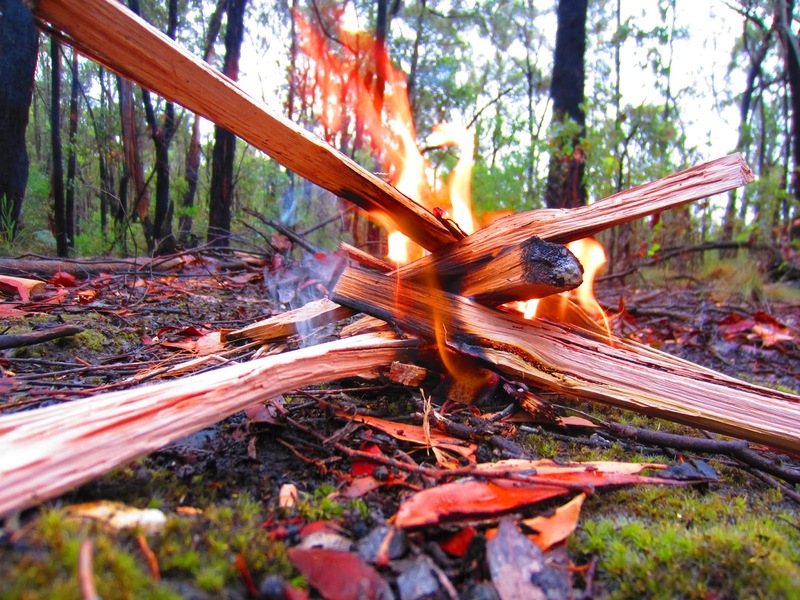 On this trip into the bush it was raining heavily so in order to start a fire I had to find dry wood. The only option was to obtain the inner dry wood core of fallen branches. 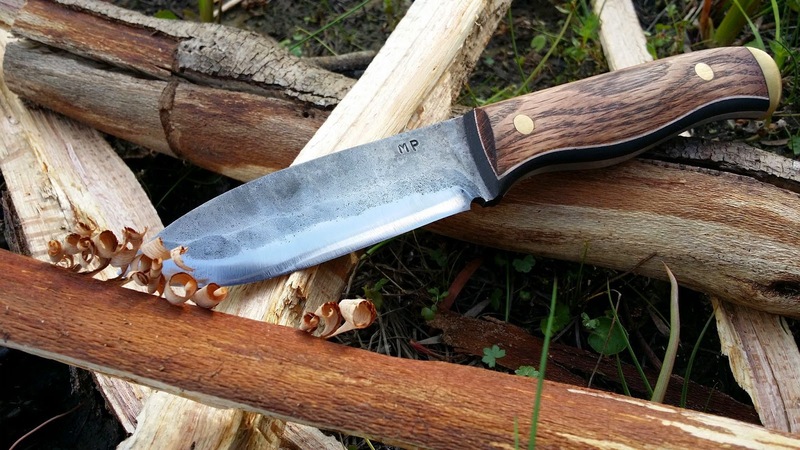 The thick blade excelled at batoning through the wood to create dry kindling. The convex edge also retains a keen edge. In thinking about this knife and its practicalities the one thing that comes to mind is durability. I can see myself using this for many years with confidence that it will not let me down. In other words, I like it, it lives up to and even exceeds my expectations and therefore I'll use it, and in the end isn't that what we hope from the equipment we buy? 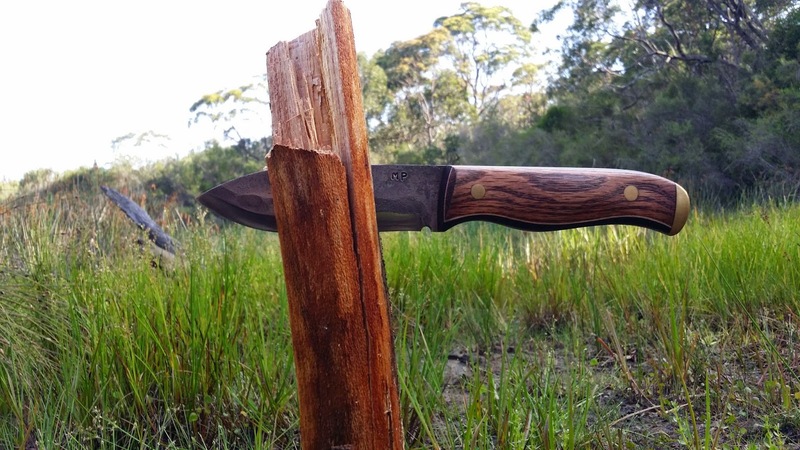 This site is dedicated to exploring the world of Australian Bushcraft and Bushcraft in general as practiced around the world. I intend to undertake equipment reviews and high-light interesting websites. The occasional trip report will also be posted. 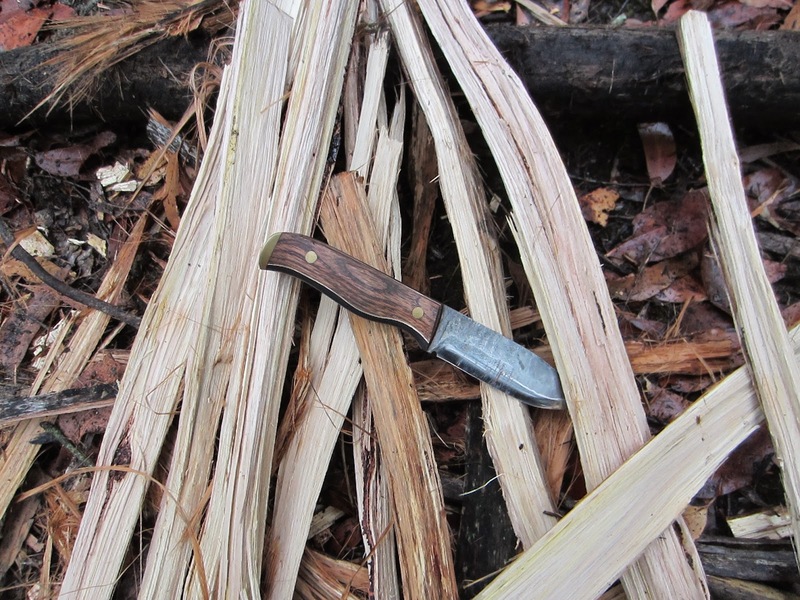 Bushcraft is a hobby of mine and I am by no means claiming to be an expert. The information contained in his blog should be viewed in that context.